Can Tilray justify its nearly US$7 billion valuation in Q4? Tilray Inc. (TLRY) is set to report fourth-quarter and fiscal full-year 2018 financial results after the closing bell on Monday, giving the company a chance to justify its hefty valuation and live up to a promise to ramp up recreational sales. 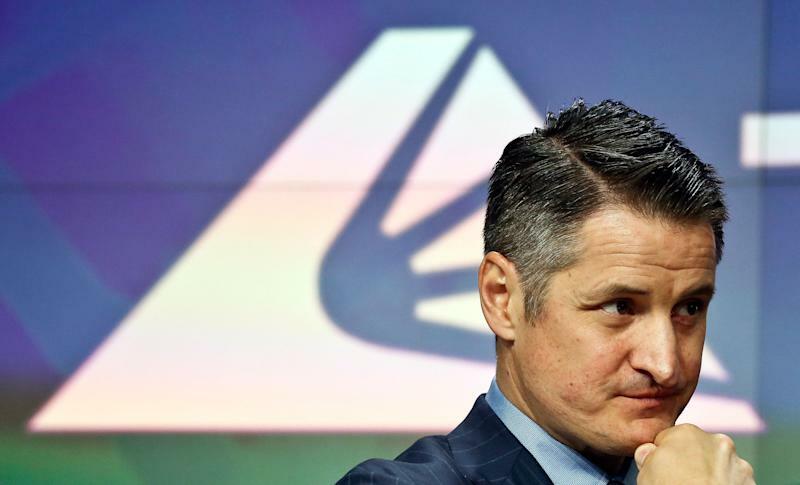 Speaking on a conference call in November, Brendan Kennedy, the Nanaimo, B.C.-based producer’s chief executive, said Tilray did not make any sales in Canada’s new recreational market in the third quarter. How that changed will be in the spotlight as investors decide if the company is living up to its US$6.9 billion valuation. Tilray became the poster child for roller coaster pot stocks last September when the company’s stock roared to an all-time closing high of $214.06, 1,159 per cent above the $17 IPO price. NASDAQ-listed shares climbed 0.24 per cent to $72.46 at 11:23 p.m. ET on Friday. Analysts polled by Thompson Reuters’ Refinitiv service expect a loss of $0.15 per share in the company’s fourth quarter, and estimate revenue of $18.95 million. Tilray has had a busy 2019, snapping up licensed producer Natura Naturals for up to C$70 million in cash and stock, acquiring hemp food company Manitoba Harvest for up to $419 million in cash and stock, and building out its European medical cannabis operation. The company announced a joint venture with Budweiser beer parent company AB InBev (BUD) in late December to study cannabis-infused drinks. Investors will be anxious for an update on how the partnership is progressing. Analyst sentiment has been mixed as of late. Last Friday, Jefferies initiated coverage with an “underperform” rating and a $61 price target. Jefferies analyst Owen Bennett said Tilray falls short of rivals Canopy Growth Corp. (WEED.TO) and Aurora Cannabis Inc. (ACB.TO) in several key areas. “Its Canada medical share (core strength) is not in the top four, and recent consumer feedback is not inspiring. The approach to recreational does not appear as well thought through, capacity could be limiting, positioning for derivatives does not stand out amongst peer best, and optionality in the U.S. is less impressive,” he wrote in a March 8 research note. Bennett added that he struggles to justify the company’s current valuation. Cowen analyst Vivien Azer is decidedly more bullish on Tilray. She noted in late February that the acquisition of Manitoba Harvest gives Tilray access to a broad portfolio of food products currently distributed in 16,000 stores in the U.S. and Canada, with the opportunity to expand beyond the food category, including extracts. Azer maintains an “outperform” rating on Tilray shares, and a price target of $150.